AMGuSS ~ June 24-29, 2019! 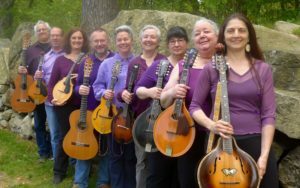 The 27th American Mandolin & Guitar Summer School is open for registration. AMGuSS Guest Artist 2019 – Matt Flinner! 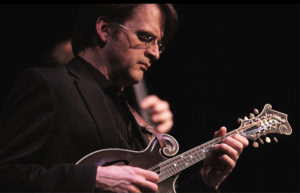 Hot off the presses– Our AMGSS Guest Artist 2019 is… mandolinist Matt Flinner! Matt will perform, teach, and may even write a piece for the AMGuSS orchestra. See his bio, and a link to a performance video below. AMGuSS under-30 Scholarship – Deadline extended! 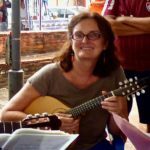 SummerKeys ~ study with Marilynn July 8-12, 2019! 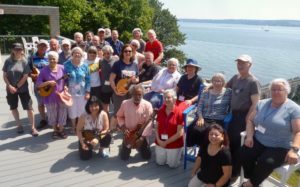 Mandolin Week at the legendary “SummerKeys” in Lubec, Maine will return July 8-12, 2019. 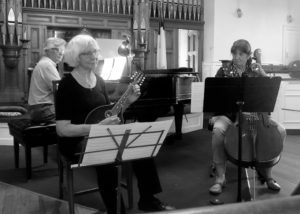 Enrollment is limited to 5, maybe 6 students, who each get a daily private lesson with Marilynn, plus her mandolin group class, and daily use of a private practice room. Watch this page for registration information to reserve your spot. 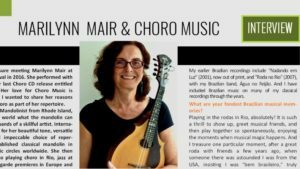 If you love Marilynn’s “The Complete Mandolinist” method book, and wish you could access her expertise in a private-lesson setting, this is your opportunity. Lubec is a charming seaside town with concerts, lectures, hiking, and boating to add to your week’s idyll. Enigmatica – check out the update! Enigmatica has a new look and has increased from 8 to 9 players, adding a 7-string guitar. Check out the page update here! 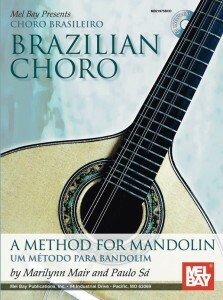 The October 2017 issue of Bossa Brazilian Music online focused on Choro music, and included an interview with Marilynn about her involvement with Choro, and an article she wrote, “The French Connection: From Chopin to Choro.” Click the links above to download the articles, or click on the magazine’s title to read the whole issue online. Need a unique gift for a music lover? You can now buy all of Marilynn’s CDs and books on Amazon. 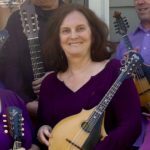 They are listed by many sellers, including Marilynn’s own company, Uncommon Strings. Amazon ships worldwide so they are the convenient choice if you live outside the USA or Canada. Click here for the CDs. Click here for the books. Marilynn’s new book is out! Mel Bay has published their 3rd book by Marilynn! 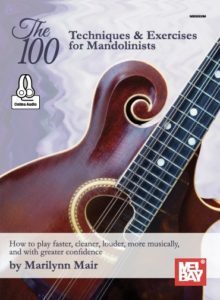 The 100 – Techniques & Exercises for Mandolinists is a compendium of thought-provoking discoveries and theories developed over the course of her career. 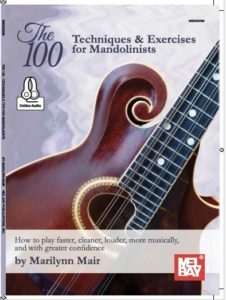 This is Marilynn’s most personal method book to date, and gives a look into the way professional musicians practice, work out repertoire, and develop the interpretive skills to bring their music to life. Order one directly from Mel Bay! Or you can buy a copy on Amazon.